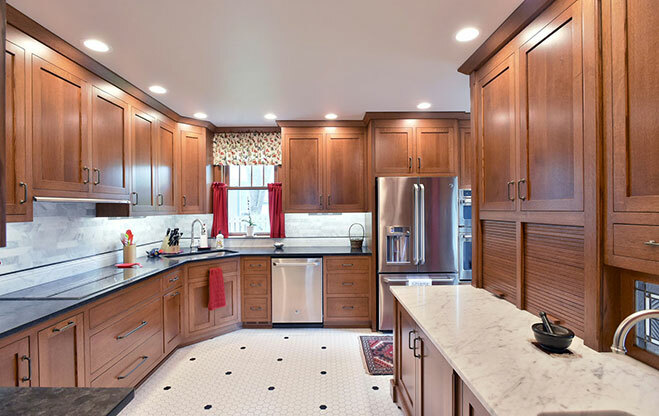 For over 20 years Woodhill Cabinetry & Design has provided area homeowners a more personal alternative to the mass-produced cabinets sold by retailers and big box stores. 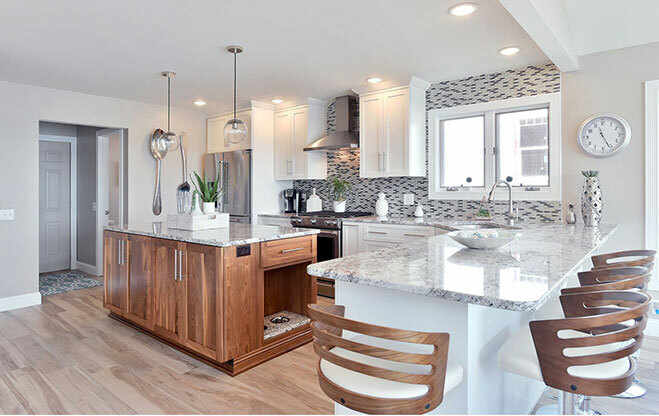 Our custom capabilities allow us to offer a near endless palette of design options including wood species, door styles, moldings, finishes, hardware, and countertops, ensuring our ability to create personal, functional cabinetry for any room in your home. 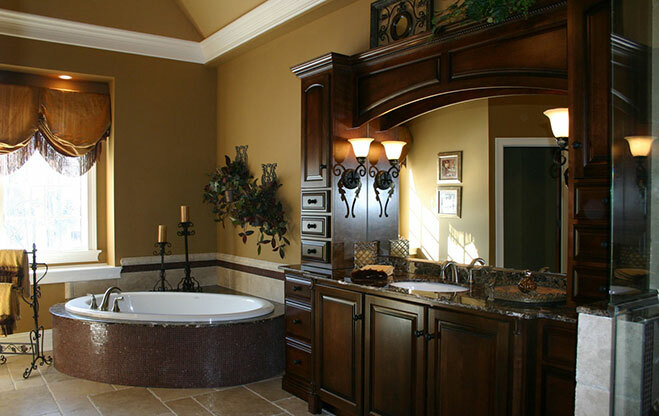 Our experienced design team is prepared to give ideas and listen to yours while helping guide you through each stage of the planning process, and our talented staff of craftsmen take pride in bringing these ideas to reality using quality materials, modern woodworking methods, and attention to detail. Please view our portfolio and inspire your imagination to the possibilities our talents can bring to your home. Designed with attention to every detail, from meal preparation and storage to entertaining your	guests. 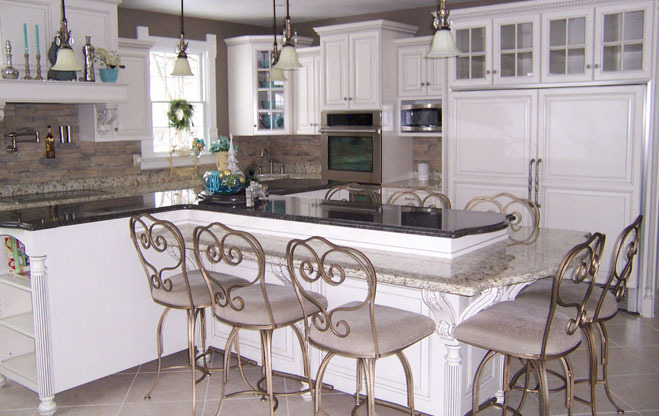 Kitchens that become the heart of your home is our specialty. From luxurious master suite baths to powder rooms, bathrooms designed and built for pampering the body and reviving the spirit. Organizing, entertaining, or just adorning. See what else we can create for the other rooms in your home. 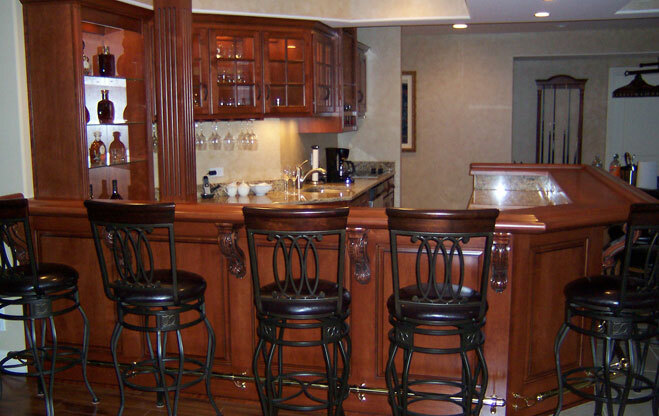 Bookcases, bars, fireplace surrounds, the list goes on and on. 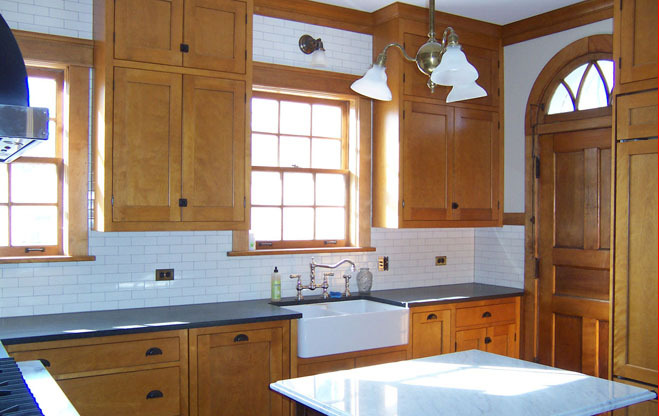 Top it off with beautiful counters built from a variety of materials. 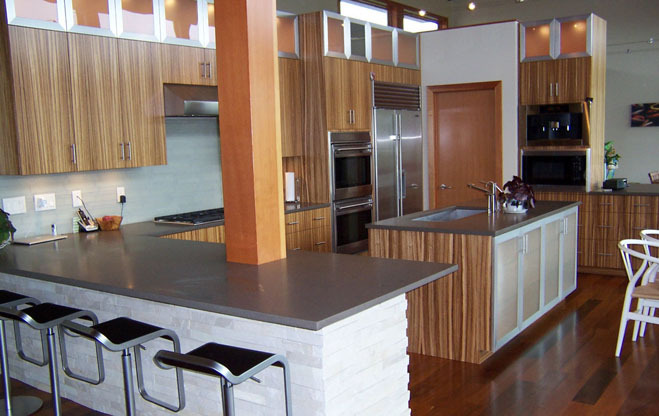 Real wood to laminate, granite to solid surface. In colors and textures for any style and taste.